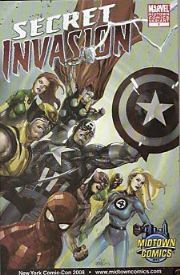 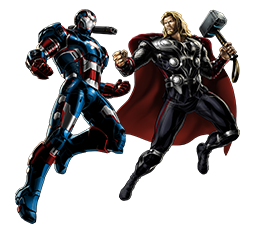 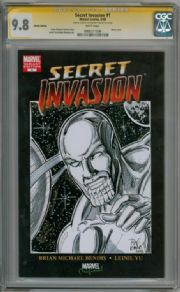 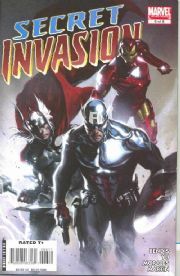 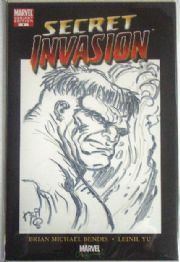 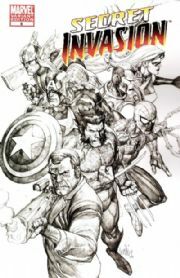 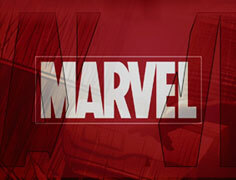 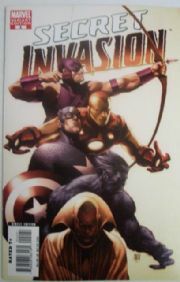 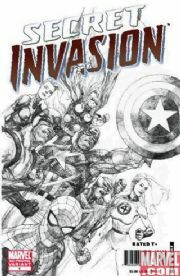 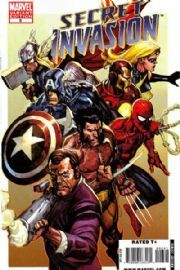 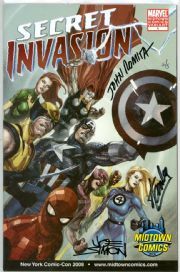 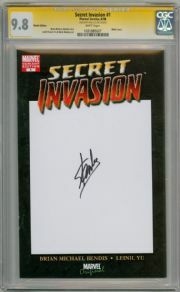 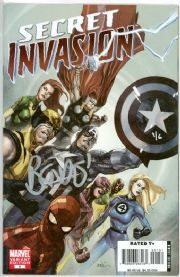 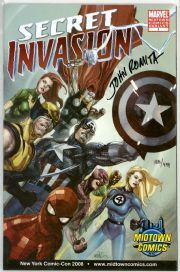 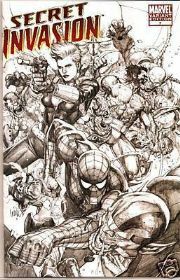 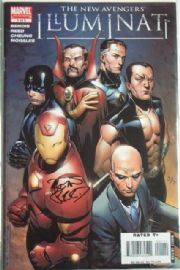 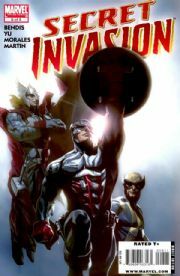 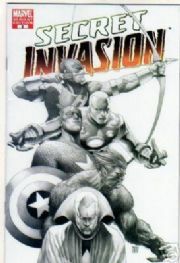 Secret Invasion comics (SII) are THE Marvel comic book title of 2008! 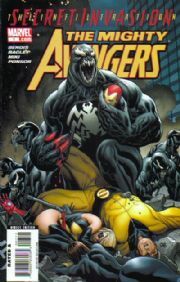 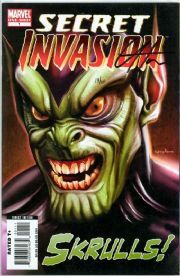 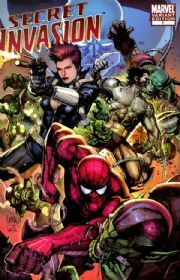 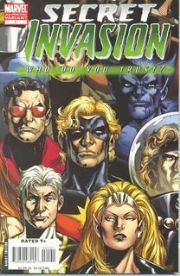 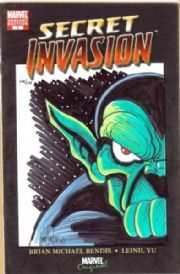 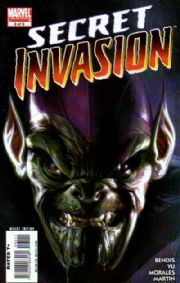 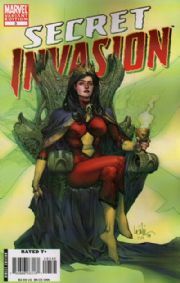 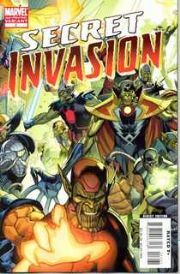 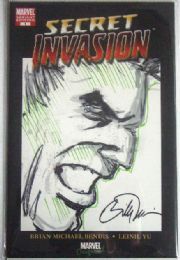 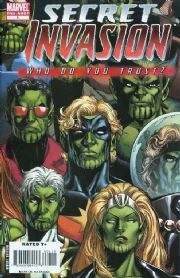 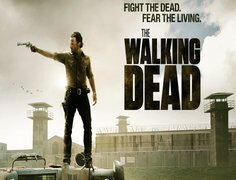 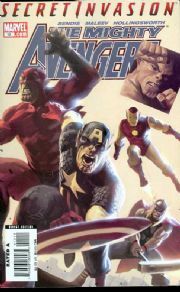 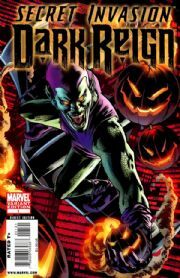 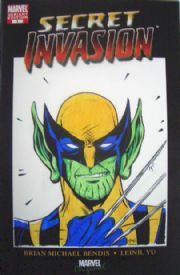 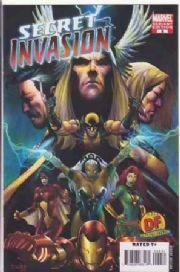 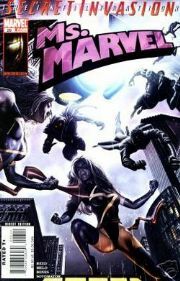 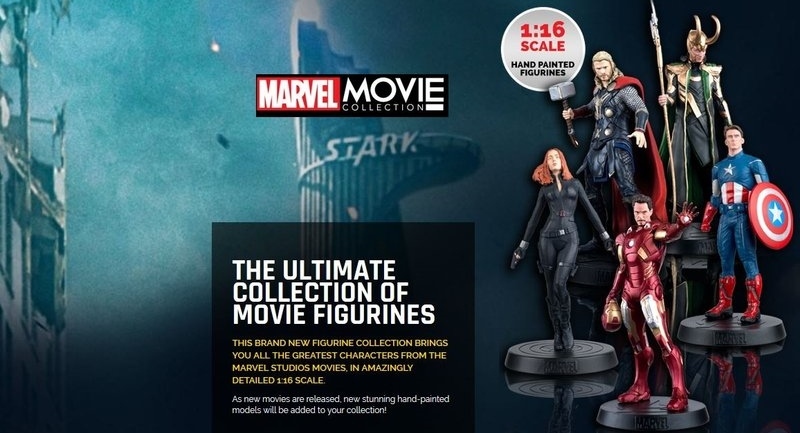 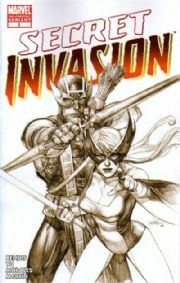 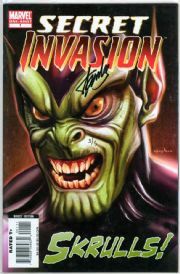 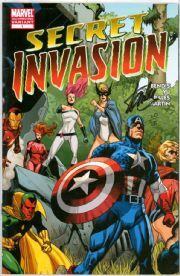 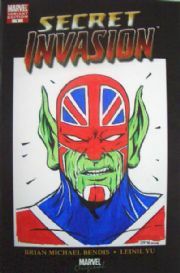 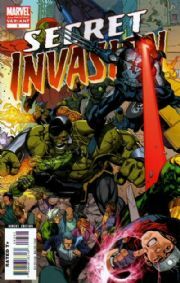 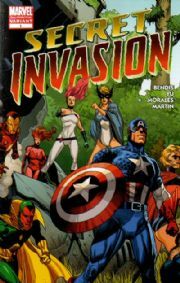 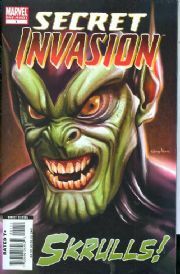 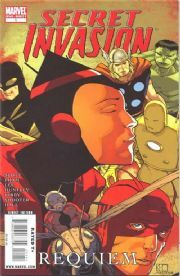 The Skrull invasion threatens to cross over into most of the Marvel comic titles including Ms. Marvel Comics, New Avengers Comics, The Mighty Avengers Comics, Incredible Hercules Comics and has spawned a number of related spin-off series including Captain Britain And MI13, Secret Invasion Fantastic Four Comics, Runaways Young Avengers Comics, New Warriors Comics etc. 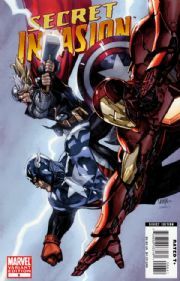 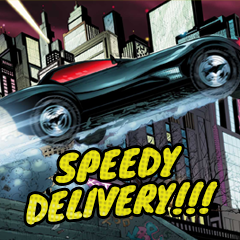 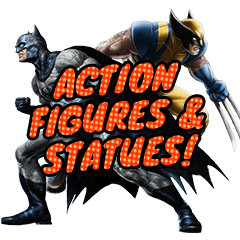 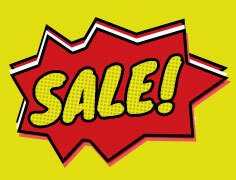 Also there is a Marvel Spotlight Edition comic and various one shots. 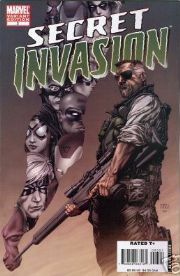 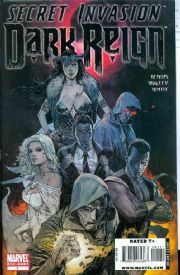 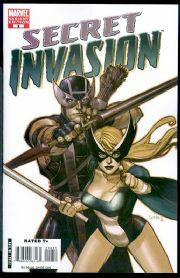 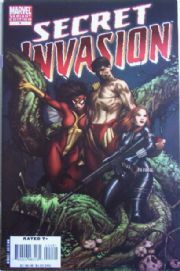 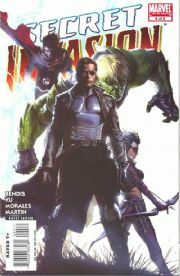 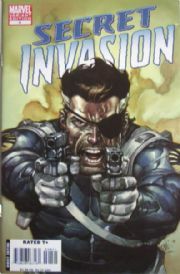 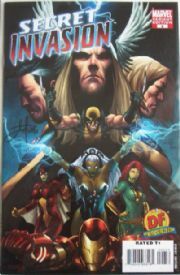 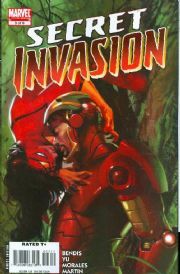 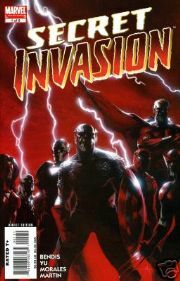 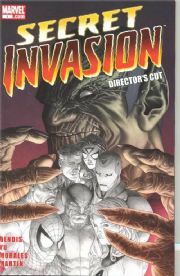 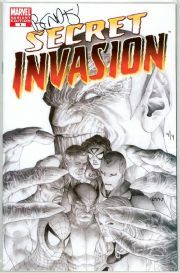 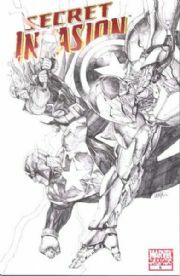 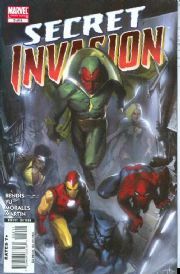 Secret Invasion Requiem One Shot (2008) Marvel comic book.